I swear I shouldn't be allowed to watch TV shows. I become addicted to almost every show I watch, I develop feelings for the main characters, wanting them to achieve everything that they set out to do, and I ship almost every ship I possibly can. Not to mention I become super sad over the fact I don't live like the people in the show/where they live/my life is nothing like theirs. The show opens with Prince Charming rescuing Snow White from the glass coffin and marrying her, only to have the Evil Queen promise that she will ruin their happiness. However, we soon find ourselves in Boston with a kid reading a book of fairy tales, who has come to find his birth mother Emma Swan, who gave him up for adoption 10 years ago. Fast forward a little bit, Henry (the little kid) explains to Emma that all the stories in the story book are real, and that she is their saviour. Of course she doesn't believe him, who would believe a kid that has turned up out of nowhere saying that every single fairytale is real? 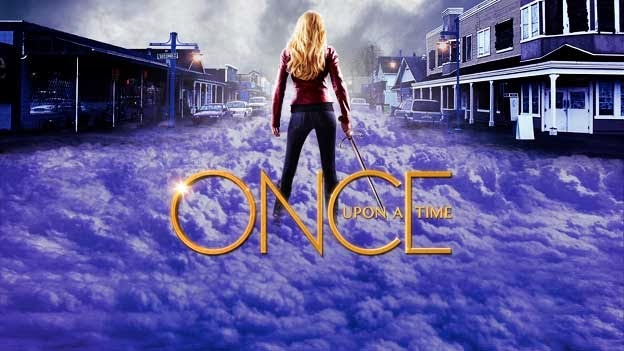 Emma takes Henry back to Storybrooke Maine, to his adoptive mother, (who resembles the Evil Queen from the opening sequence,) and finds herself drawn to stay in town. She then develops a relationship with her son, of whom believes everyone in town is a storybook character from another land but just can't remember it... and he is right. The storybook was given to him by his teacher (who is actually Snow White) and it explains that Prince Charming and Snow White under the direction of Rumplestiltskin (who told them that their daughter was the saviour, and she would one day return as save them all) put their new born in a magical wardrobe transporting her into our world to protect her from the curse the evil witch placed on the land. But here's the twist, the daughter they put in the wardrobe is actually Emma, and the curse transported everyone from the enchanted forest into our world and made them all forget who they were. There then is a bunch of twists and turns with characters learning who they really are, and stories from the book being told, and being recreated, including Snow White and Prince Charming finding each other. Fast forward again, Henry gets poisoned from an apple turnover his mother made, and Emma realises the truth about everything, and that Henry's teacher Mary Margaret, who is also her room mate, is actually Snow White... her mother! I won't give any more away because then they'll be no point in you watching the show, but the more I watch it, the more I want to tell people about it. I am half way through the second season now and I just can't get enough, but as I said before, I get addicted to TV shows so easily that my life has started to revolve around it! I actually feel sad because I'm not from the enchanted forest, riding horses, wearing a cloak and trying to find magic lakes and making deals with the dark one. But I get like that with all shows, after watching Devious Maids, I wished I was a Latino house keeper trying to find the truth about her son! Once upon a time is definitely an amazing show, The way all the fairytales have been linked together is incredibly well written. And the use of famous faces (Kristen Bauer Van Straten, Rachel Shelley, Emilie De Ravin) really draws in the viewers. I know my explanation was pretty rubbish, but I promise it's a lot better than what it sounds. I am a massive TV show nerd, and I like to share my love of shows with people, so I wouldn't tell you all to watch a show I didn't believe in. Here is the first part of the first episode, so if my description has failed you, hopefully this will persuade you! Let me know what you think, and if you know any other shows I should lose myself in! Peace, love and Sausage rolls.